Hello all! Time for Friday Fives! Before we get there, I have a few announcements. First, the opportunities I post on Monday, will be posted on Tuesday. Therefore, the two winners of my contest will be announced Tuesday instead on Monday. I'm taking this weekend to get my writing life together and hopefully do a little relaxing with my family. Also, this week I had my blog custom designed! I can't wait to reveal the new layout and design to you. Check back on Tuesday July 5, 2011! 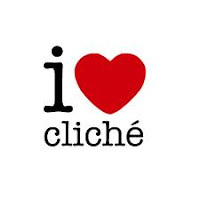 What are your FIVE favorite cliches? This is the most appropriate writing cliche for me because the heroine is the topic of my thesis (yes, I'm in thesis mode.) We've seen them in the past with Jane Eyre from Jane Eyre and Elizabeth Bennett from Pride and Prejudice, and we see them in more modern books with characters such as Precious in Push and Janie in Their Eyes Were Watching God. Many argue that the heroine is a cliche, but I don't think she's ever going away. I for one love reading about her. Often times a female character will break up with a guy (who is usually the bad boy) and find a new guy (the good guy.) The female will then go back to the ex once he shows interest again (usually due to seeing her with a new guy.) But in the end she realizes that the good guy is who she should be with. I love when the good guy wins. I love sarcasm. The end. The adversary always makes a more interesting read. They tend to shake up the equilibrium of the main character plus get the reader to be sympathetic to the MC. What about you? What are your favorite writing cliches? Also, seriously check out the song of the day. It's a song composed entirely of cliches. So cool! I love writing the antagonist. I'll be checking back as well to see your new layout! Hmmm... "my heart was racing"? LOL. I kinda love that one. I always loved playing the bad guy on stage and I love, love writing him! Great list! I too love a sarcastic main character - mine seem to be full of snark. Ex vs new guy, such a classic. I really don't like it though! I love sarcasm too! A little too much, truth being told. Great list! I haven't written one yet, but I adore the "love triangle." Also, I love sarcasm too.